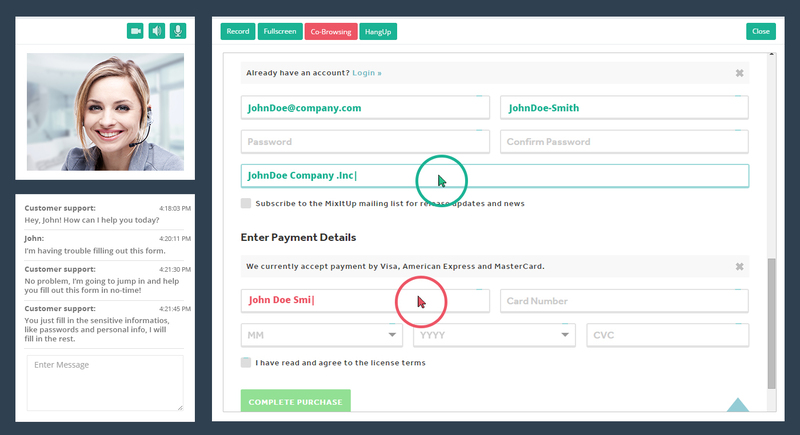 Co-Browse and annotate with visitors on your website using 1CLICK’s Customer Support Software. Just paste the code available on the hero console, and your website is co-browsing ready! Co browse with your customers, and take them through your products and services. Our live chat customer engagement software gives you the option to setup an instant co-browsing session with your visitors during a live chat and run them through your product or service. 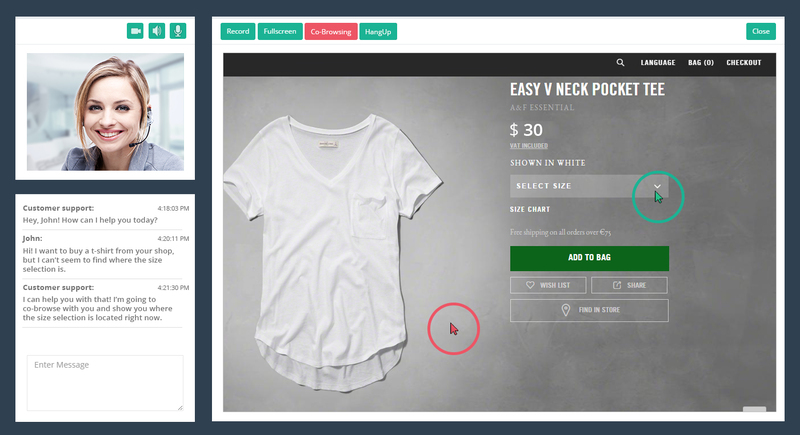 Turn your visitors into customers with this simple tool for your online customer interaction! Use our co-browsing to fill forms with your customers while in a video/voice call. Secure fields such as passwords and card details are not transmitted during a co-browsing session. Which means that when a customer fills any secure fields during a co-browsing session, it will not be displayed to the agent. During a co-browsing session, both the customer and agent side have full control of the webpage, and can navigate to any part of your website. Our live video chat support software doesn’t just give you the option to co-browse, but also helps you make annotations during your co browsing session. Annotations are 2-way during your session which means that the customer can annotate and you can do the same simultaneously. 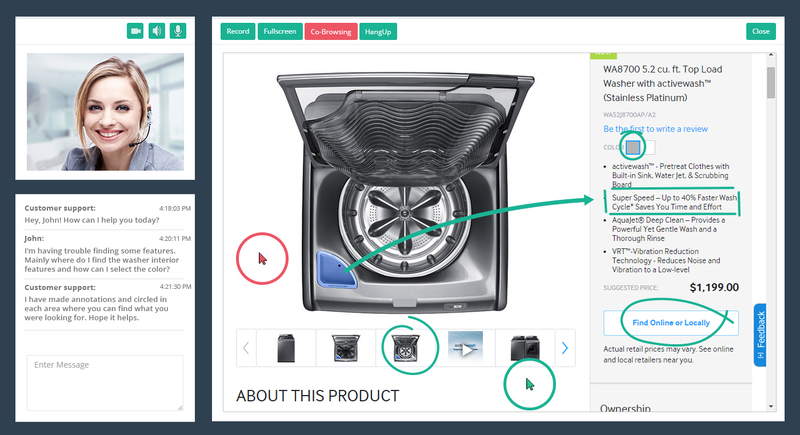 You can easily highlight sections of your screen with our video web application for customer support and sales. 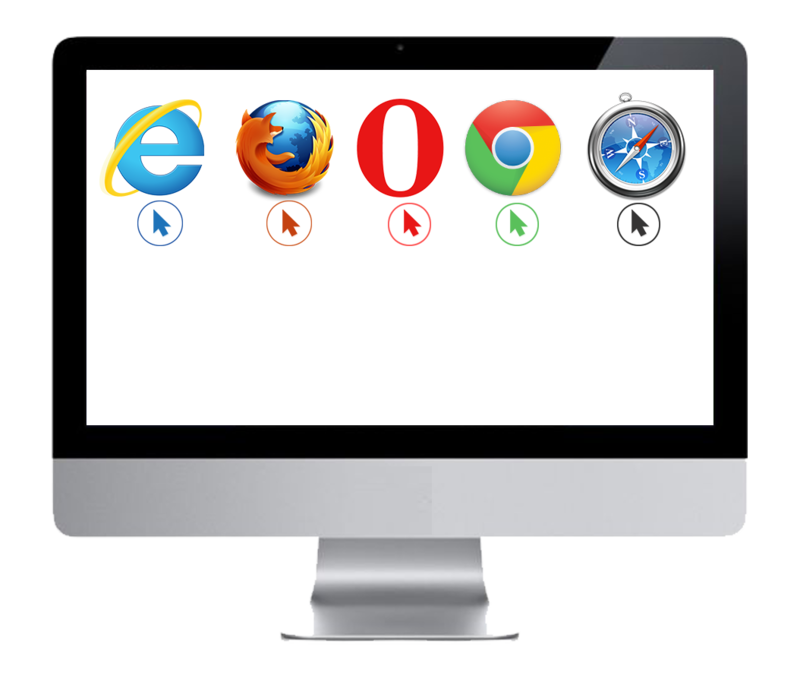 The co-browsing feature works on all major browsers and your customers can experience seamless co browsing on our video chat support software. The co-browsing feature was built to allow you to meet every aspect of customer engagement online with these tools. Here’s your chance to guide your customers.